One of the toughest parts of winter is trying not to forget all of our healthy eating habits that we work so hard to maintain in the warmer months. 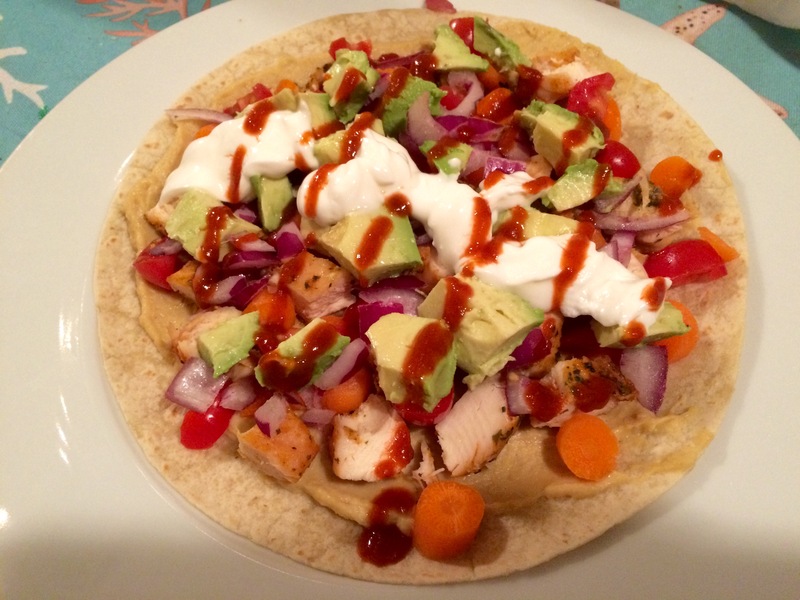 I wanted to make sure that I’m still eating a colorful diet and not going too heavy on carbs or cheese (my weaknesses) so I came up with this wrap recently. Its super filling, not too heavy, and is easy to assemble. 1. Dice chicken and vegetables. 2. Spread hummus into a thin layer on the surface of the wrap. 3. Layer carrots, chicken, tomatoes, and onion on the wrap. 4. Add avocado, Greek yogurt and sriracha, roll, and enjoy. Tip: If you are looking to make this even lower carb, swap the Fiber One wrap for romaine leaves. For those of us who wish to stand out from the crowd, here are some other cute, comfy shoes that will take your shoe game up to the next level.